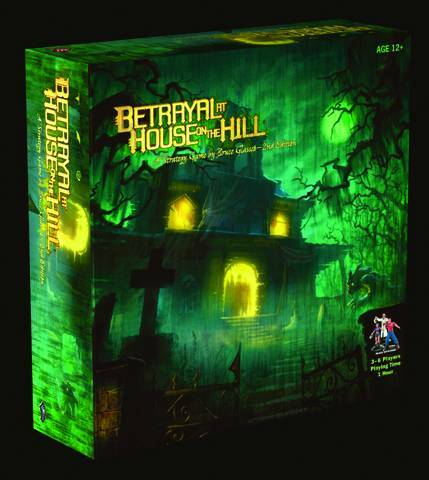 Each player chooses one of 12 mysterious characters to explore a creepy house filled with deadly secrets. As you play, you'll build the house, and explore new rooms. When you enter a new room, you might find something... or something might find you! When an explorer triggers a haunt, one of the players will betray everyone else. That explorer becomes the traitor who will try to defeat all his former companions. The rest of the players are heroes who must struggle to survive. From that point on, .